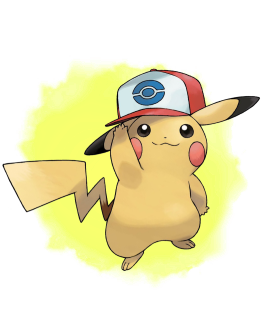 As part of the Let's Go Pikachu promotion worldwide (except Korea), various Cap Pikachu were given away to players via the common code. The common code for Unova Cap Pikachu is "13LETSGOPIKACHU". These codes worked for US, EU, JP and TW versions of the 3DS console. For the JP and TW versions, they can only receive the English version of the wonder card, regardless of language they're playing on. For the whole duration, players playing Ultra Sun on a US console on FRE language, were given the English card by mistake. emoción cuando su aventura da comienzo.